Wanting out of the doing the Christmas shopping this weekend? Looking for your football fix? Well look no further than the Riverside Stadium this weekend as Jeanfield entertain Inverkeithing. There have been goals aplenty at the Riverside this season with 40 goals in 7 games so far and more expected on Saturday. 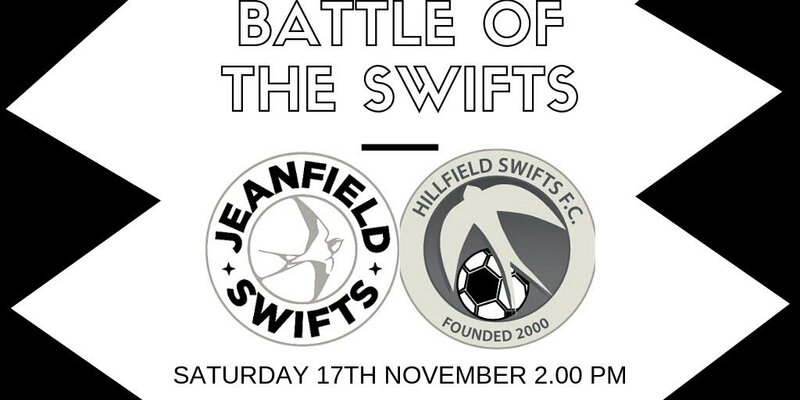 You will be interested to know that the East Lothian Courier (a legend in its own lifetime) reporting on Swifts 4 - 0 win at Ormiston, said Swifts were by far the best footballing side it had seen in the Conferences this season. Played some good stuff but Linlithgow scored 11 v them. Finished 5-0 to the home side. Your memory is doing fine. I'm an incomer to East Lothian but a pal tells me the team was indeed Ormiston Primrose until a few years ago when they merged with the neighbouring Pencaitland team. Don't know why they dropped Primrose but we think that name came from a local mine as did the names of a lot of junior clubs.